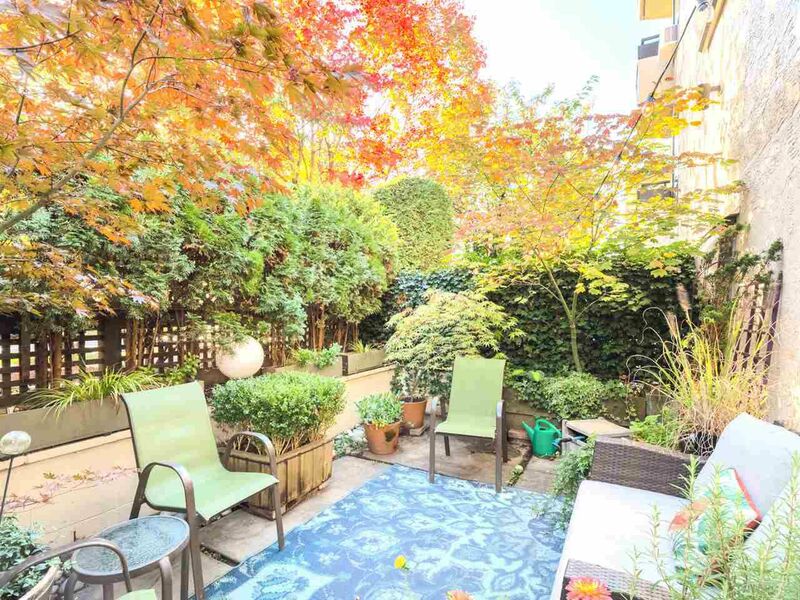 Oasis in quiet, leafy neighbourhood with direct access to downtown, Richmond, UBC and East Van. Relax or entertain on your delightful, private, over 400 sq.ft. totally private patio. Walk to cafés, restaurants, Safeway, Canada Line, pretty parks. This lovely updated corner ground unit feels like a perfect home, with large floor to ceiling windows facing nothing but private greenery. Great open concept living, sunny bedroom, and totally updated kitchen with newer appliances and white subway tile back splash. Super pro active friendly strata, allowing pets and rentals with restricions. Call for your private showing! Open Saturday October 6th 2-4!